Robert Joseph Szuch, 83, of Machesney Park passed away Friday, April 5, 2019. Born March 17, 1936 in Leechburg, PA to Joseph and Julia (Palczer) Szuch. A veteran of the US Airforce serving during peacetime. Married to Barbara Majewski for 50 years. 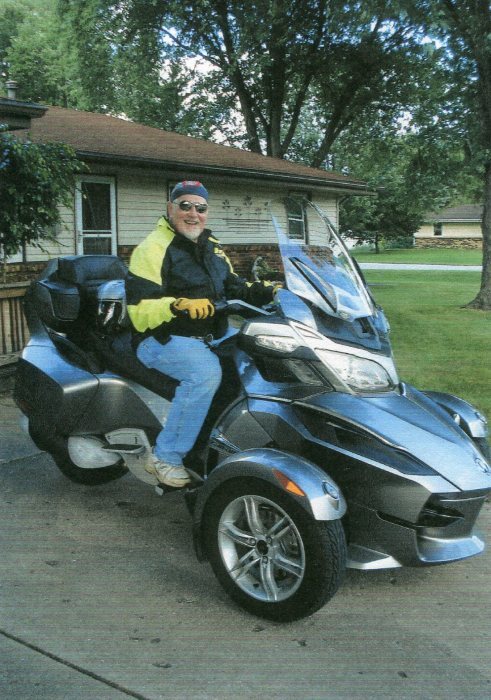 Robert had many hobbies and interests some including metal working, ham radio enthusiast, painting, collecting coins, hiking, biking, running competitively including 3 marathons and motorcycling. A member of Masonic Lodge 102 for 50 years. Survivors include wife, Barbara Szuch; children, Heidi (Hank) Graber, Leigh (Jody Chandler) Szuch, David (Michelle) Szuch; grandchildren, Samantha (Rob) Gregory, Stephanie (E.J.) Mendoza; great grandchildren, Raelynn, James, Ezekiel, Scarlet; and brothers, Lou (Bette) Szuch, and Don (Dianne) Szuch. Funeral service will be held at 11:00 a.m. Tuesday, April 9, 2019 in Honquest Family Funeral Home with Crematory – Mulford Chapel, 4311 N. Mulford Road, Loves Park with a visitation from 10:00 a.m. until time of service. Entombment in Sunset Memorial Gardens. In lieu of flowers memorials may be given to the Cancer Society.